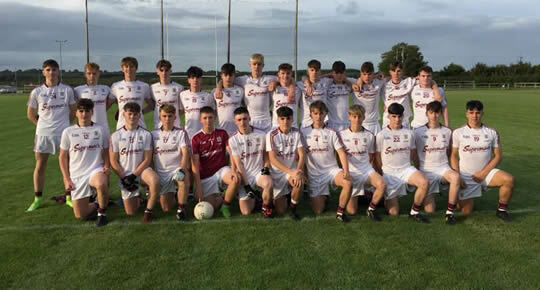 Bhí Seán Aindí Ó Ceallaigh mar lánchúlaí ar fhoireann Sinsear na Gaillimhe a fuair an ceann is fearr ar Shligeach i Sraith FBD Chonnacht le 1-12 i gcoinne 0-11 i Lárionad Spóirt CLG Chonnacht, sa Bhéacán i Maigh Eo, ar an gCéadaoin, 3 Eanáir. Fuair Seán Aindí cárta dubh sa gcéad leath sa gcluiche seo. Bhí sé ar ais mar lánchúlaí arís nuair a fuair siad an ceann is fearr ar Mhaigh Eo ar an Aoine, 12 Eanáir thuas ar Pháirc Mhic Éil, Caisleán an Bharraigh, 1-10 le 1-9. Fuair Seán Aindí cárta dearg sa gcluiche seo gar do dheireadh na himeartha agus dá bharr sin ní raibh sé in ann imirt i gcoinne Liatroma ar an Domhnach, 14 Eanáir nuair a fuair Gaillimh an ceann is fearr, 3-6 le 0-8 thuas ar an bhFairche. Mar gheall ar an 3 bhua seo cháiligh Gaillimh do chluiche ceannais an FBD i gcoinne Ros Comáin. D'éirigh le Seán Aindí Ó Ceallaigh, agus é ag imirt mar lánchúlaí, fanacht ar an bpáirc ar feadh an chluiche ar fad agus Gaillimh ag fáil an ceann is fearr ar Thír Eoghain, 1-9 le 0-8, sa gcéad cluiche den tSraith Náisiúnta Peile, Roinn 1 ar Pháirc Naomh Iarflaith i dTuaim ar an Domhnach 28 Eanáir. Ainmníodh Seán Aindí ar fhoireann CLG na seachtaine tar éis a thaispeántais. Bhí bua iontach ag an lánchúlaí Sarah Ní Loingsigh agus ag foireann Ban na Gaillimhe ar Mhaigh Eo thuas i Mainistir Mhaigh Eo i gcluiche ceannais Sraith Gheimhridh Chonnacht, 6-13 le 1-4, ar an Domhnach, 21 Eanáir. Bhí Sarah sa líne lánchúl arís nuair a fuair siad an ceann is fearr ar Mhuinechán, 4-10 le 2-6, sa gcéad cluiche den tsraith i Lárionad Spóirt Chonnacht i mBéal Átha hAmhnais ar an Domhnach, 28 Eanáir. Scóráil Sarah pointe ón imirt. Bhí Tadhg Ó Máille sa chúl d'fhoireann Ollscoil na hÉireann, Gaillimh a fuair an ceann is fearr ar IT Shligeach, 3-15 le 1-6, sa gcéad bhabhta de Corn Mhic Shigiúir ar an Daingean i nGaillimh ar an gCéadaoin, 24 Eanáir. Bhí Evan Ó Flatharta sna fir ionaid. Bhuaigh Foireann Sóisear Scoil Chuimsitheach Chiaráin, An Cheathrú Rua Comórtas Díospóireachta Uí Chadhain, Craobh na hÉireann eagraithe ag Gael Linn, ar an gCéadaoin, 24 Eanáir. 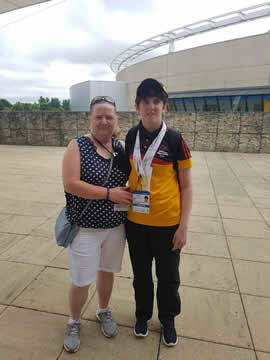 Bhí Colm Mac Donnacha (mac le PJ agus le Eileen Mhyle) as Tír an Fhia mar chaptaen ar an bhfoireann agus bhí Caoimhe Ní Thuathail (iníon le Marie (Ní Mhócháin) agus le Cathaoirleach Naomh Anna, Michael) agus Anna Nic Dhonnacha as an gCeathrú Rua. Fuair Foireann Sinsear Scoil Chuimsitheach Chiaráin, An Cheathrú Rua an ceann is fearr ar Choláiste Mhic Dhaibhéid as Caisleáin an Bharraigh, 1-13 le 0-9, i gcluiche ceathrú ceannais Connacht, Roinn D, i Lárionad Spóirt CLG Chonnacht, sa Bhéacán i Maigh Eo, ar an gCéadaoin, 24 Eanáir. Fuair foireann Sinsear na Gaillimhe a dara bua sa tSraith Náisiúnta agus Seán Aindí Ó Ceallaigh nuair a fuair siad an ceann is fearr ar Dhún na nGall thuas ar Pháirc Uí Dhomhnaill i Leitir Ceannain ar an Domhnach, 4 Feabhra, leis an scór 1-12 le 0-14. 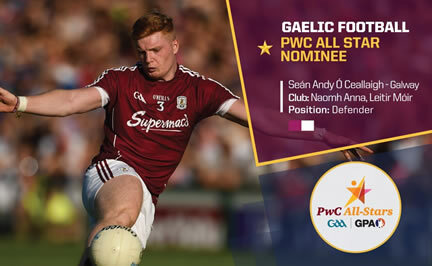 D'éirigh le Gaillimh agus Seán Aindí Ó Ceallaigh arís mar lánchúlaí, an ceann is fearr a fháil ar Mhaigh Eo, 1-13 le 0-11, sa tríú babhta den tSraith Náisiúnta Peile, Roinn 1 i Stáid an Phiarsaigh ar an Domhnach, 11 Feabhra. Níor imir Seán Aindí i gcluiche ceannais Sraith an FBD nuair a fuair Ros Comáin an ceann is fearr orthu thuas ar Pháirc de hÍde i Ros Comáin le haon pointe amháin, 3-12 le 2-16, ar an Domhnach, 18 Feabhra. 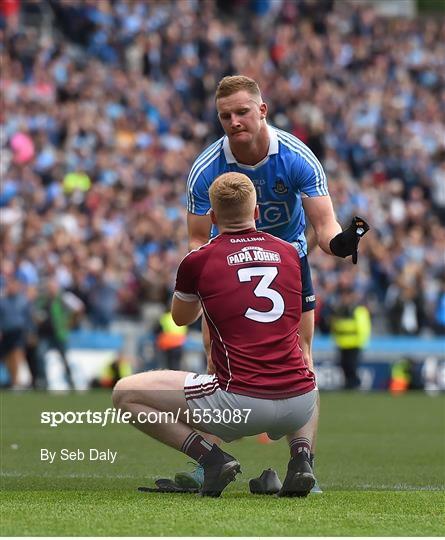 Ach bhí Seán Aindí arís mar lánchúlaí nuair a fuair Gaillimh an ceann is fearr a fháil ar Chiarraí, 1-14 le 0-14, sa cheathrú babhta den tSraith Náisiúnta Peile, Roinn 1 i bPáirc Aibhistín de Staic i dTrá Lí ar an Domhnach, 25 Feabhra. Bronnadh cárta dubh ar Sheáin Aindí deireanach sa dara leath den chluiche. Chríochnaigh Mná na Gaillimhe cothrom le Dún na nGall thuas i nGleann Fhinne, Dún na nGall ar an Domhnach, 4 Feabhra, 0-16 le 1-13. Tháinig Sarah Ní Loingsigh isteach sa dara leath den chluiche. Thosaigh Sarah mar lánchúlaí ar fhoireann Ban na Gaillimhe a chas le Mhaigh Eo sa tríú babhta den tsraith náisiúnta i Stáid an Phiarsaigh ar an Domhnach, 11 Feabhra. Cé go raibh an-chluiche ag Sarah fuair Maigh Eo an ceann is fearr ar Ghaillimh, 1-7 le 2-7. 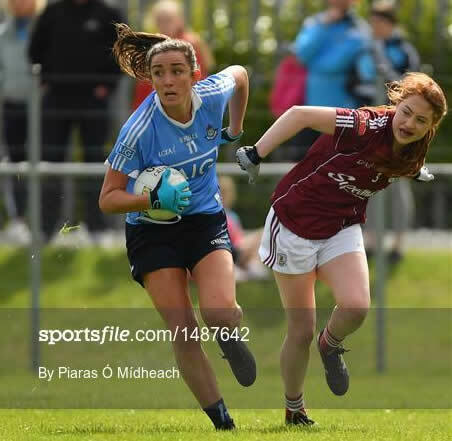 Thosaigh Sarah arís mar lánchúlaí nuair a fuair Gaillimh an ceann is fearr ar Chiarraí, 1-14 le 1-6, sa cheathrú babhta den tSraith Náisiúnta Peile, Roinn 1 i Staid Mhic Gearailt i gCill Áirne ar an Domhnach, 25 Feabhra. Fuair Foireann Sinsear Scoil Chuimsitheach Chiaráin, An Cheathrú Rua an ceann is fearr ar Choláiste Mhuire Baile an Mhóta as Sligeach, 6-11 le 2-14, i gcluiche leathcheannais Connacht, Roinn D, i Lárionad Spóirt CLG Chonnacht, sa Bhéacán i Maigh Eo, ar an gCéadaoin, 7 Feabhra. Theip orthu sa gcluiche ceannais i gcoinne Ard-Scoil Chuain, Gallach i Staid Naomh Iarflaith i dTuaim ar an Luan, 26 Feabhra, 0-10 le 1-9. Scóráil Oisín Mac Donnacha 0-9 (8 cic saor), Warren Seoighe 0-1. 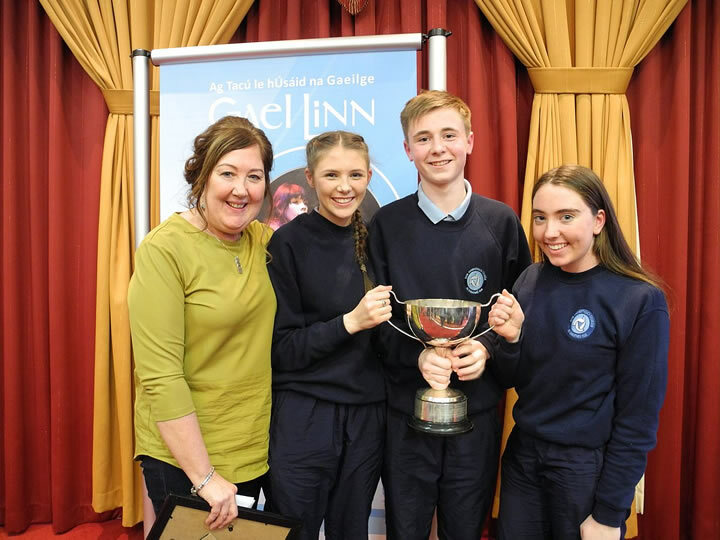 Bhí Tadhg Ó Máille sa chúl d'fhoireann Ollscoil na hÉireann, Gaillimh a fuair an ceann is fearr ar Choláiste na hOllscoile, Corcaigh, 1-9 le 0-7, sa dara babhta de Chorn Mhic Shigiúir thíos sa Mardyke i gCorcaigh ar an gCéadaoin, 7 Feabhra. Fuair Tadhg cárta dubh ag deireadh na himeartha agus é ag tabhairt cic pionóis uaidh ach tháinig fear an Spidéil, Manus Breathnach, isteach agus shábháil sé an cic pionois sin. Bhí Evan Ó Flatharta sna fir ionaid. Tá tuairisc ón gcluiche le feiceáil ar shuíomh idirlín the42.ie. Theip ar fhoireann Ollscoil na hÉireann, Gaillimh i gcluiche ceannais Corn Mhic Shigiúir nuair a fuair Ollscoil Bhaile Átha Cliath an ceann is fearr orthu thuas in Ascaill Sheantraibh i mBaile Átha Cliath le haon phointe amháin, 2-9 le 1-13 ar an Satharn, 17 Feabhra. Ar an lá céanna fuair Coláiste Mhuire Gan Smál as Luimneach an ceann is fearr ar Institiúid Teicneolaíochta Phort Láirge i gcluiche ceannais Corn Trench, arís le haon pointe amháin, 2-14 le 1-16. Ar fhoireann Coláiste Mhuire Gan Smál bhí Dara Mac Gearailt (mac le Cathy Nic Dhonnacha as Doirín Darach) as Cumann Mhicheál Breathnach agus Antoine Ó Laoi (mac le Joe Joe) as an Spidéal. Fuair foireann Sinsear na Gaillimhe a cúigiú bua sa tSraith Náisiúnta agus Seán Aindí Ó Ceallaigh ag imirt mar lánchúlaí nuair a fuair siad an ceann is fearr ar Mhuineachán i Staid an Phiarsaigh ar an Domhnach, 11 Márta, 0-17 le 1-10, chun áit a chinntiú dóibh féin i gcluiche ceannais na sraithe Roinn 1 i gcoinne Baile Átha Cliath, agus dhá chluiche fós le himirt. Don dara huair as cúig chluiche sraithe ainmníodh Seán Aindí ar fhoireann CLG na seachtaine tar éis a thaispeántais. Chas foireann na Gaillimhe, le Seán Aindí arís mar lánchúlaí, ar sheaimpíní na hÉireann, Baile Átha Cliath i Staid an Phiarsaigh ar an Domhnach, 18 Márta, agus tar éis cluiche crua, chríochnaigh na foirne ar comhscór 0-13 an taobh. Bhí lá suimiúil ag Seán Aindí, fuair Eoin Ó Gara cárta dearg as buille a thabhairt do Sheán Aindí agus fuair Seán é féin cárta dubh sa nóiméad deiridh den cluiche. 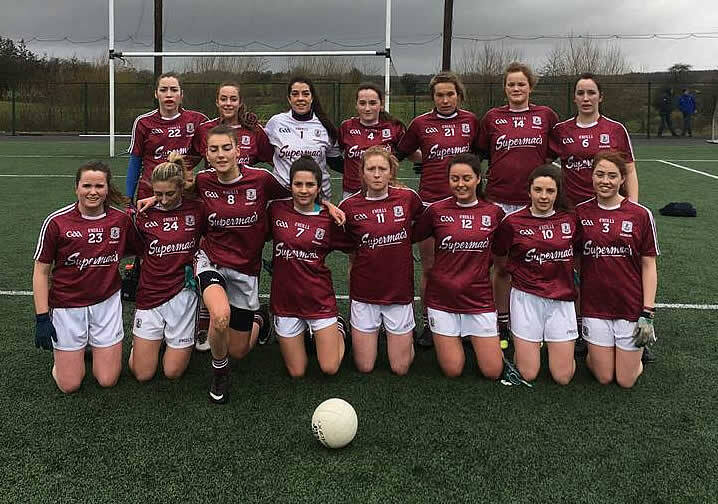 De bharr a trí chárta dubh bhí Seán Aindí ar fionraí don cluiche deireadh sa tsraith i gcoinne Chill Dara, cluiche a bhuaigh Gaillimh, 0-16 le 0-10 thuas ar an Droichead Nua ar an Domhnach, 25 Márta, rud a chiallaigh gur chríochnaigh Gaillimh ar bharr Roinn 1 le 13 pointe as 14. Sa chúigiú babhta den tsraith náisiúnta fuair Mná na Gaillimhe, le Sarah Ní Loingsigh sa líne lánchúl ar chlé, an ceann is fearr ar sheaimpíní na hÉireann, Baile Átha Cliath thuas i mBaile an Aba ar an Domhnach, 25 Márta, 1-17 le 1-15. Imríodh cluiche ceannais Roinn 1 den tSraith Náisiúnta idir Gaillimh agus Baile Átha Cliath i bPáirc an Chrócaigh ar an Domhnach, 1 Aibreán. Thosaigh Seán Aindí Ó Ceallaigh mar lánchúlaí. 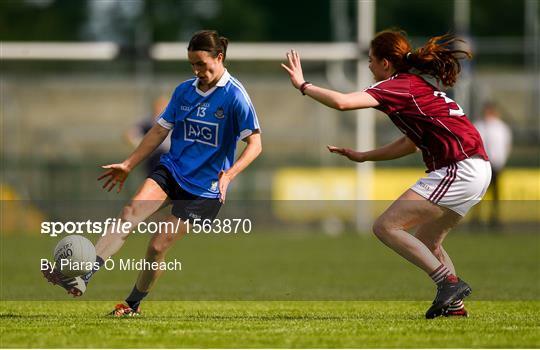 Bhí na foirne cothrom ag leathama, 0-8 an taobh ach bhí fir Bhleá Cliath níos láidre ná fir an Iarthair sa dara leath agus bhuaigh siad sa deireadh le 4 chúilín, 0-14 le 0-18. Roghnaíodh Seán Aindí Ó Ceallaigh mar lánchúlaí ar sárfhoireann an comórtas Sraithe a roghnaigh an nuachtán idirlíon SportsJOE. 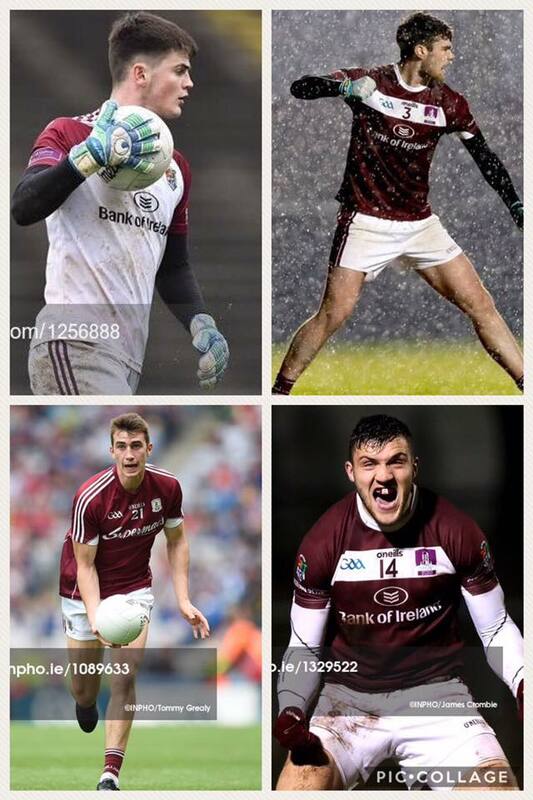 Bhí sé mar dhuine de beirt as Gaillimh a roghnaíodh, b'é captaen na Gaillimhe, Damien Comer, an dara imreoir, An fhoireann: 1. Rory Beggan (Muineacháin), 2. Johnny Cooper (Baile Átha Cliath), 3. Seán Aindí Ó Ceallaigh (Gaillimh), 4. David Murray (Ros Comáin), 5. Bill Maher (Tiobrad Árann), 6. Ciarán Brady (Cabhán), 7. Paul Murphy (Ciarraí), 8. 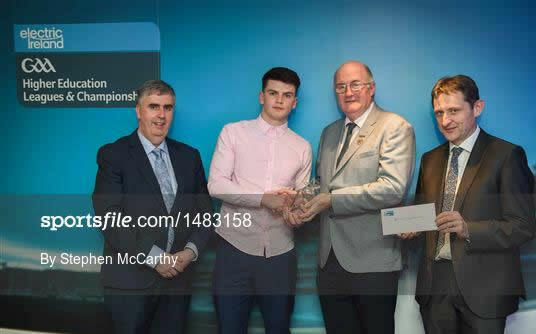 Brian Fenton (Baile Átha Cliath), 9. Mattie Donnelly (Tír Eoghain), 10. Andrew Murnin (Ard Mhaca), 11. Ciarán Kilkenny (Baile Átha Cliath), 12. John Heslin (An Iarmhí), 13. Paddy McBrearty (Dún na Gall), 14. Damien Comer (Gaillimh), 15. Lee Brennan (Tír Eoghain). Roghnaíodh Seán Aindí mar lánchúlaí ar sárfhoireann an comórtas Sraithe a roghnaigh an nuachtán Independent.ie. Bhí sé mar dhuine de triúir as Gaillimh a roghnaíodh, Eoghan Kerin agus Damien Comer, na himreoirí eile. An fhoireann: 1. Rory Beggan (Muineacháin), 2. Johnny Cooper (Baile Átha Cliath), 3. Seán Aindí Ó Ceallaigh (Gaillimh), 4. Eoghan Kerin (Gaillimh), 5. Paul Murphy (Ciarraí), 6. James McCarthy (Baile Átha Cliath), 7. Karl O'Connell (Muineacháin), 8. Brian Fenton (Baile Átha Cliath), 9. Mattie Donnelly (Tír Eoghain), 10. Dara McVeety (Cabhán), 11. Ciarán Kilkenny (Baile Átha Cliath), 12. Niall Scully (Baile Átha Cliath), 13. Paddy McBrearty (Dún na Gall), 14. Damien Comer (Gaillimh), 15. Daniel Flynn (Cill Dara). Roghnaíodh Tadhg Ó Máille mar cúlbáire ar sárfhoireann comórtas Corn Mhic Shigiúir a roghnaigh an nuachtán idirlíon Ball.ie. Bhí sé mar dhuine de seisear as Ollscoil na hÉireann, Gaillimh a roghnaíodh. An fhoireann: 1. Tadhg Ó Máille (OÉ, Gaillimh / Gaillimh), 2. Stephen Brennan (OÉ, Gaillimh / Maigh Eó), 3. Cillian O'Shea (UCD/Baile Átha Cliath), 4. Kevin McDonnell (OÉ, Gaillimh/Sligeach), 5. 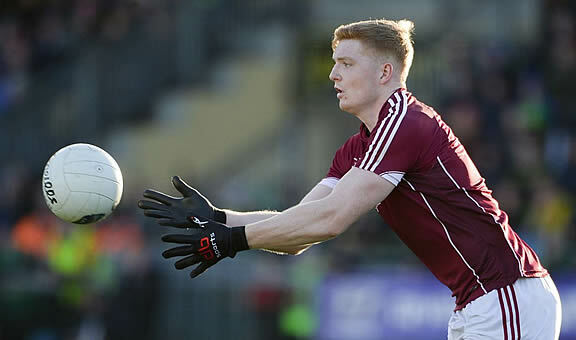 Kieran Molloy (OÉ, Gaillimh/Gaillimh), 6. Stephen Coen (UCD/Maigh Eó), 7. Jimmy Feehan (UCD/Tiobrad Árann), 8. Barry O'Sullivan (UCD/Ciarraí), 9. Jack Barry (UCD/Ciarraí), 10. Adam Gallagher (OÉ, Gaillimh/Maigh Eó), 11. Conor McCarthy (UCD/Muineacháin), 12. Liam Casey (UCD/Tiobrad Árann), 13. 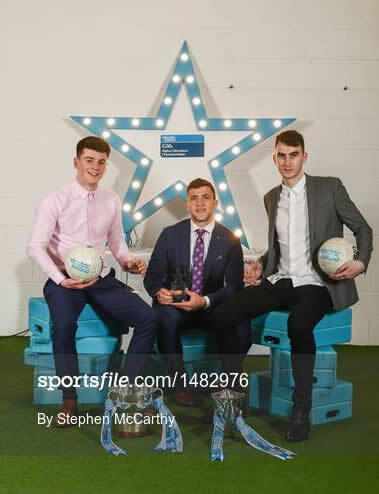 Damien Comer (OÉ, Gaillimh/Gaillimh), 14, Evan O'Carroll (UCD/Laois), 15. David Clifford (IT Tralee/Ciarraí). Roghnaíodh Tadhg Ó Máille mar cúlbáire ar sárfhoireann comórtas Corn Mhic Shigiúir a roghnaigh an nuachtán Independent.ie. Bhí sé mar dhuine de ceathrar as Ollscoil na hÉireann, Gaillimh a roghnaíodh. Bhí triúir acu sin as Conamara, Tadhg, Seán Ó Maolchiaráin as Oileáin Árann agus Enda Tierney as Uachtar Ard agus b'é captaen na hOllscoile, Damien Comer, an ceathrú imreoir. 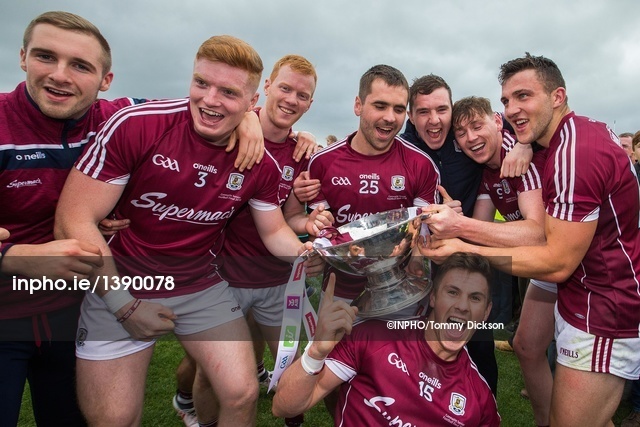 Bhí Seán Aindí Ó Ceallaigh mar lánchúlaí ar fhoireann Sinsear na Gaillimhe a fuair an ceann is fearr ar Mhaigh Eo i gcluiche ceathrúceannais Craobh Shinsir Chonnacha, 1-12 i gcoinne 0-12 ar Pháirc Mhic Éil, Caisleán an Bharraigh ar an Domhnach, 13 Bealtaine. 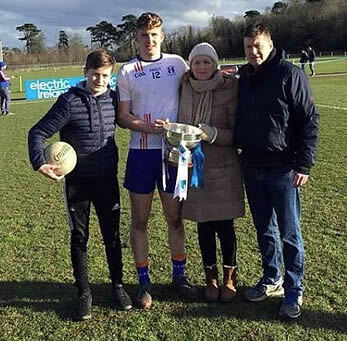 Bhí Tadhg Ó Máille ar an bpaineál Sóisear a bhuaigh Craobh Chonnacht lena mbua ar Mhaigh Eo, 1-11 le 1-10, níos luaithe sa lá. 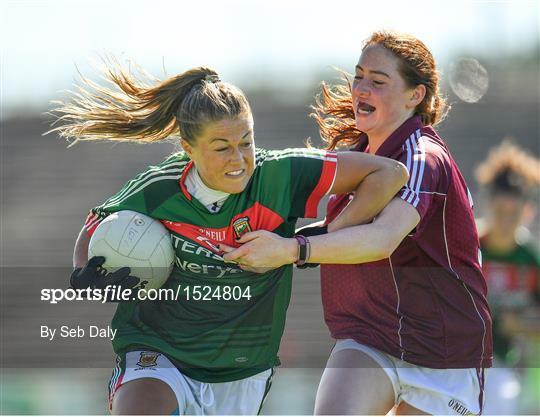 Bhí Seán Aindí Ó Ceallaigh mar lánchúlaí ar fhoireann Sinsear na Gaillimhe a fuair bua thar a bheith éasca ar Sligeach i gcluiche leathcheannais Craobh Shinsir Chonnacha, 4-24 i gcoinne 1-12 i Stáid an Phiarsaigh ar an Domhnach, 3 Meitheamh chun áit a bhaint amach i gcluiche ceannais Chonnacht i gcoinne Ros Comáin. Coicís ina dhiaidh sin, ar an Domhnach, 17 Meitheamh, thug Gaillimh leo, le Seán Aindí arís mar lánchúlaí, Craobh Shinsir Chonnacht lena mbua ar Ros Comáin, 0-16 le 2-6 ar Pháirc de hÍde. D'fhreastal Joanie Bharry ar na Cluichí Oilimpeacha Speisialta Éireann i mBaile Átha Cliath le gairid le tacú lena neacht, Emma O'Flaherty as Baile na Lorgan, Muineachán. 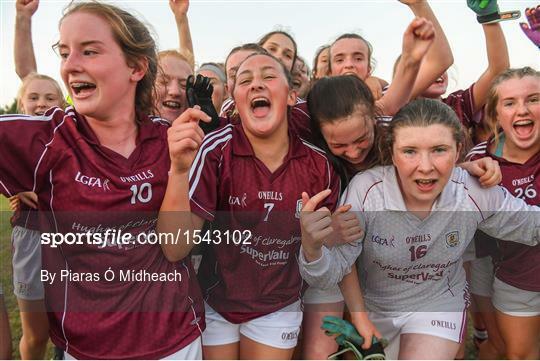 Fuair Mná na Gaillimhe, le Sarah Ní Loingsigh mar lánchúlaí, an ceann is fearr Mhaigh Eo i gcluiche ceannais Chonnacht ar Pháirc Mhic Éil i gCaisleáin an Bharraigh ar an Domhnach, 24 Meitheamh, 0-17 le 1-12. Chuir peileadóirí Sinsear na Gaillimhe tús lena bhfeachtas sa Chomórtas an tSár-Ochtair i gcoinne Ciarraí ar an Domhnach, 15 Iúil, i bPáirc an Chrócaigh le Seán Aindí Ó Ceallaigh mar lánchúlaí. Fuair Gaillimh an ceann is fearr ar Chiarraí, 1-13 i gcoinne 1-10, an chéad bua ag Gaillimh ar Chiarraí sa chraobh ó 1965. 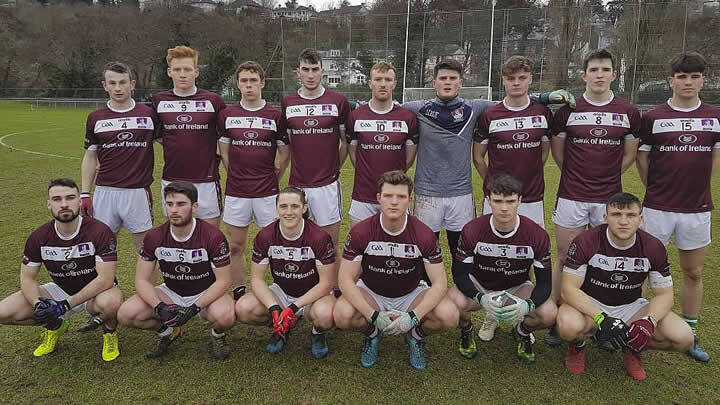 Fuair Gaillimh le Seán Aindí arís mar lánchúlaí an ceann is fearr ar Chill Dara ina dara cluiche den grúpa, 0-19 le 0-16, thuas sa Droichead Nua ar an Domhnach, 22 Iúil, le áit i gcluiche leathcheannais na hÉireann a chinntiú. Fuair Mná Sinsear na Gaillimhe an ceann is fearr ar Port Láirge, 3-12 le 0-5, ar an Domhnach, 22 Iúil, i mBiorra le Sarah Ní Loingsigh mar lánchúlaí. 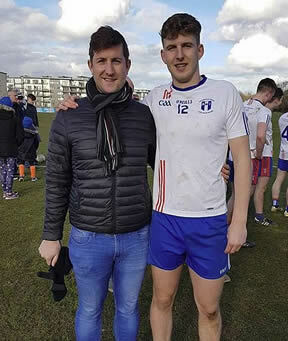 Bhuaigh siad Grúpa 3 le bua ollmhór ar mhná na hIarmhí, 6-17 le 1-6, ar Pháirc Uí Dhúgáin i mBéal Átha na Slua ar an Satharn, 28 Iúil agus Sarah arís mar lánchúlaí. Don dara bliain as a chéile bhuaigh Cailíní Faoi 16 na Gaillimhe Craobh na hÉireann nuair a fuair siad an ceann is fearr ar Chiarraí, 3-16 le 3-12, ar an gCéadaoin, 25 Iúil, i dTuaim i Mhéara, Tiobrad Árann. Bhí Roseanna Ní Bháille i measc na hionadaithe. Chuir Roseanna bonn Faoi 16 leis an ceann Faoi 14 a buaigh sí i 2017. Theip ar peileadóirí Sinsear na Gaillimhe i gcoinne Mhuineacháin, 0-8 le 0-16, ar an Satharn, 4 Lúnasa, i Staid an Phiarsaigh le Seán Aindí Ó Ceallaigh mar lánchúlaí. Chas Gaillimh, le Seán Aindí arís mar lánchúlaí, ar Bhaile Átha Cliath i gcluiche leathcheannais na hÉireann i bPáirc an Chrócaigh ar Satharn, 11 Lúnasa. Fuair seaimpíní na hÉireann an ceann is fearr ar Ghaillimh, 2-12 le 1-24, chun deireadh a chur le feachtas na Gaillimhe. 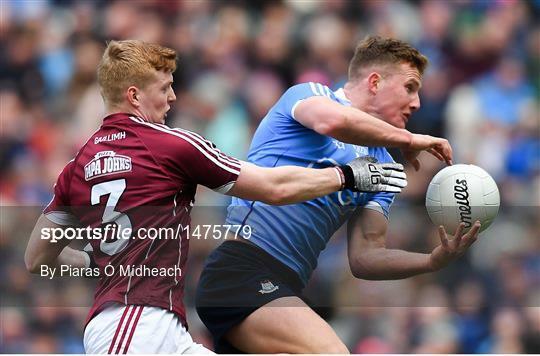 Fuair Mná Sinsear na Gaillimhe an ceann is fearr ar Mhaigh Eo, 5-11 le 0-12, i gcluiche ceathrúceannis na hÉireann ar an Domhnach, 12 Lúnasa, ar Páirc de hÍde i Ros Comáin le Sarah Ní Loingsigh mar lánchúlaí. Tháinig deireadh le feachtas na Gaillimhe nuair a chlis orthu i gcoinne sheaimpíní na hÉireann, Baile Átha Cliath, ar Pháirc de hÍde ar an Satharn, 25 Lúnasa. 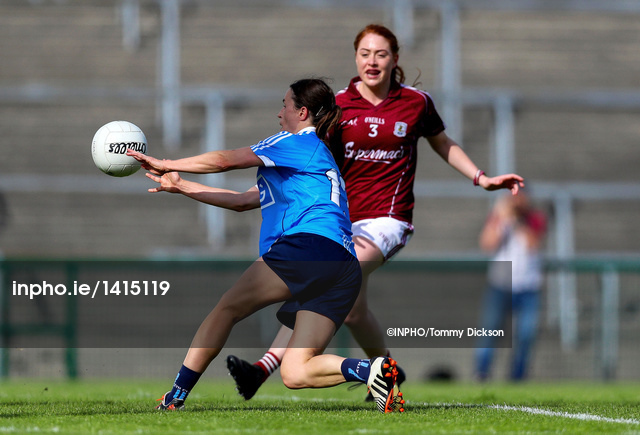 Bhí Sarah mar lánchúlaí i gcluiche a chríochnaigh Gaillimh 1-10 Baile Átha Cliath 4-8. 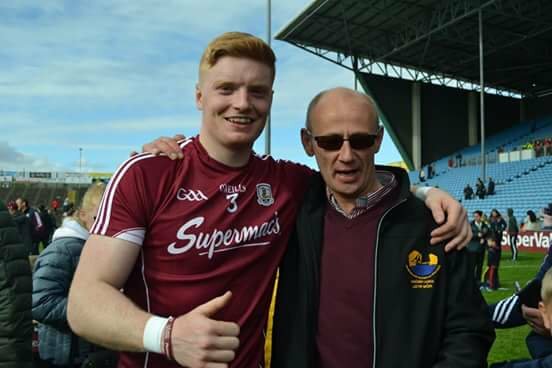 Bhuaigh Warren Seoighe agus Foireann Faoi 16 Cathair & Iarthair na Gaillimhe Comórtas Ted Webb nuair a fuair siad an ceann is fearr ar ar Mhaigh Eo Thuaidh/Theas, 1-13 le 1-8, sa gcluiche ceannais i Lárionad Spóirt Chonnacht i mBéal Átha hAmhnais ar an Aoine, 7 Meán Fómhair. Scóráil Warren 0-1 sa gcluiche ceannais. 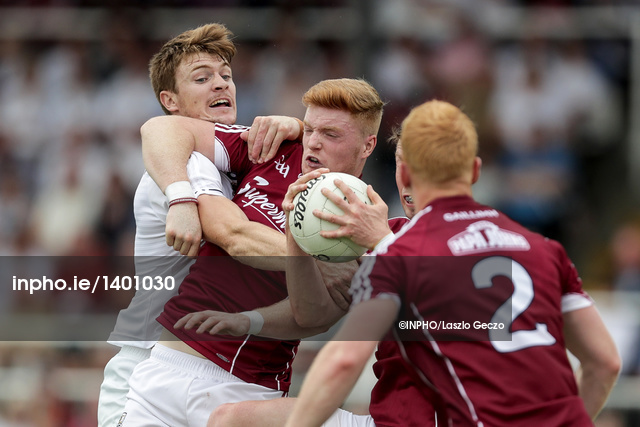 Fuair siad an ceann is fearr ar fhoireann Tuaisceart na Gaillimhe sa gcluiche leathcheannais, 0-9 le 0-8. Bhuaigh siad Grúpa 2, ag fáil an ceann is fearr ar Mhaigh Eo Thuaidh/Theas 1-6 le 0-4, ar Sligeach 2-6 le 0-4 agus ar Liatroim 2-16 le 1-5. 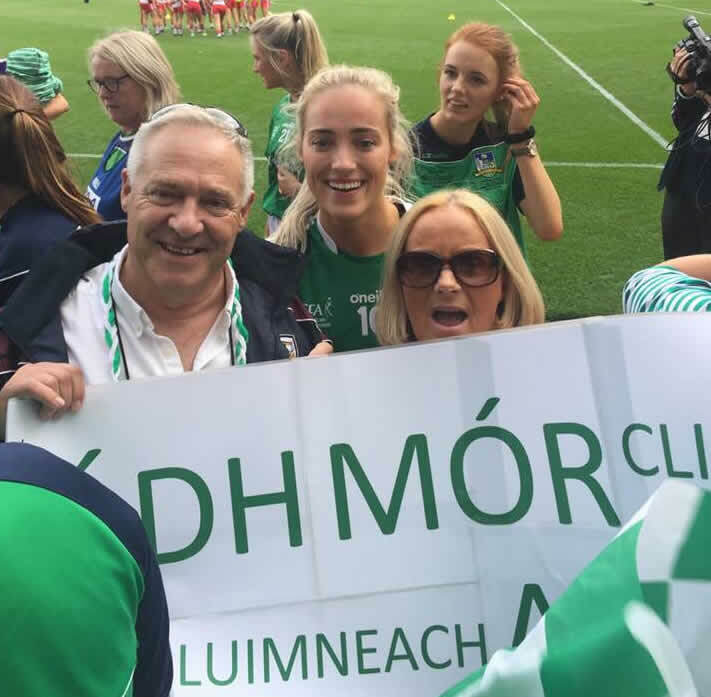 D'imir iar-imreoir Naomh Anna, Clíona Ní Cheallaigh, ar fhoireann Sóisear Luimneach a fuair an ceann is fearr ar an Lú, 5-6 le 0-8, i gcluiche ceannais na hÉireann i bPáirc an Chrócaigh ar an Domhnach, 16 Meán Fómhair. Thosaigh Clíona i ngeansaí uimhir 10 agus scóráil sí an ceathrú cúl do Luimneach. 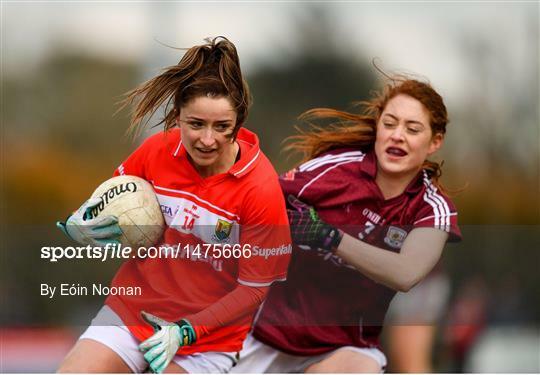 Comhghairdeas leis na Mná a roghnaíodh ar Fhoireann Sóisear A Réalta na Gaillimhe 2018: Caoimhe Ní Laoi, Saoirse Ní Icí, Katie Ní Bháille, Sarah Ní Loingsigh, Mairéad Ní Loingsigh, Ríona Ní Fhlatharta agus Philly Ní Fhlatharta. Seo é an tríú bliain as a chéile do Chaoimhe, Ríona & do Sarah a bheith roghnaithe ar fhoireann na Réalta agus an dara ceann as a chéile do Mhairéad. Roghnaíodh Micheala Ní Chonghaile agus Edel de Paor ar Fhoireann Sóisear C Réalta na Gaillimhe 2018. Roghnaíodh Sarah Ní Loingsigh ar phainéal Chonnacht do comórtas na gCúigí. Fuair siad an ceann is fearr ar mhná Cúige Laighean sa gcéad cluiche, 1-12 le 1-7 ach theip orthu i gcoinne Cúige Mumhan, 0-7 le 4-11, agus i gcoinne Cúige Uladh, 0-9 le 1-10. Theip orthu i gcluiche ceannais an Sciath i gcoinne Cúige Laighean, 2-5 le 7-7. Fuair Cúige Mumhan an ceann is fearr ar Chúige Uladh sa gcluiche ceannais, 1-4 le 1-3.